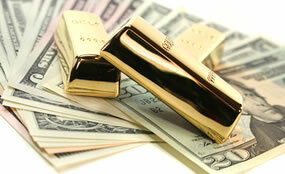 Precious metals futures declined on Friday and divided on the week. The loss for gold was its first in four days, and brought prices down from an almost 1-1/2-year high. The yellow metal still scored a weekly gain — its sixth in seven weeks. Gold for February delivery shed $10.80, or 0.8%, to settle at $1,352.10 an ounce on the Comex division of the New York Mercantile Exchange. "The dollar is weak, driving gold higher. Gold is still in an uptrend," Reuters quoted Michael Matousek, head trader at U.S. Global Investors in San Antonio. Gold futures traded 1.4% higher for the week after dipping 0.1% last week. On Thursday, they logged their best close since Aug. 4, 2016. Gold prices are 3.3% higher on the year so far. "Twenty-one market professionals took part in the Wall Street survey. Eleven, or 52%, called for gold to rise. There were eight votes, or 38%, saying gold would fall, while two participants, or 10%, called for a sideways market. Meanwhile, 708 votes were cast in an online Main Street poll. A total of 436 voters, or 62%, looked for gold to climb in the next week. Another 190, or 27%, said lower, while 82, or 12%, were neutral." Elsewhere, silver for March delivery gave back 17.4 cents, or 1%, to settle at $17.441 an ounce. Silver futures advanced 2.4% for the week after sliding 0.6% last week and 0.8% the week before then. On Thursday, they finished at their best price since Sept. 15, 2017. Silver prices are 1.7% higher on the year to date. April platinum declined $13.70, or 1.3%, to $1,018.40 an ounce, for a 0.2% weekly loss. Palladium for March delivery dropped $12.35, or 1.1%, to $1,085.05 an ounce, for a weekly loss of 1.2%. On Wednesday, the metal closed just $3.35 shy from the all-time record of $1,109.70. The two are higher on the year so far with gains of 8.5% for platinum and 2.3% for palladium. Gold fell $1.80, or 0.1%, to $1,353.15 an ounce. Silver declined 12 cents, or 0.7%, to $17.40 an ounce. Platinum fell $3, or 0.3%, to $1,017 an ounce. Palladium declined $13, or 1.2%, to $1,087 an ounce. As for the week in LBMA precious metals prices, palladium fell 2.2% while the other metals registered gains reaching 1.4% for gold, 2.1% for silver and 0.6% for platinum. United States Mint bullion sales moved a bit quicker as compared to last week. Gold coins advanced by 9,000 ounces this week after rising by 8,000 ounces last week. Splits included 6,500 ounces in American Gold Eagles against 5,500 ounces previously, and 2,500 ounces in American Gold Buffalos for a second week in row..
American Silver Eagle sales climbed by 325,000 coins after moving up by 250,000 coins last week.